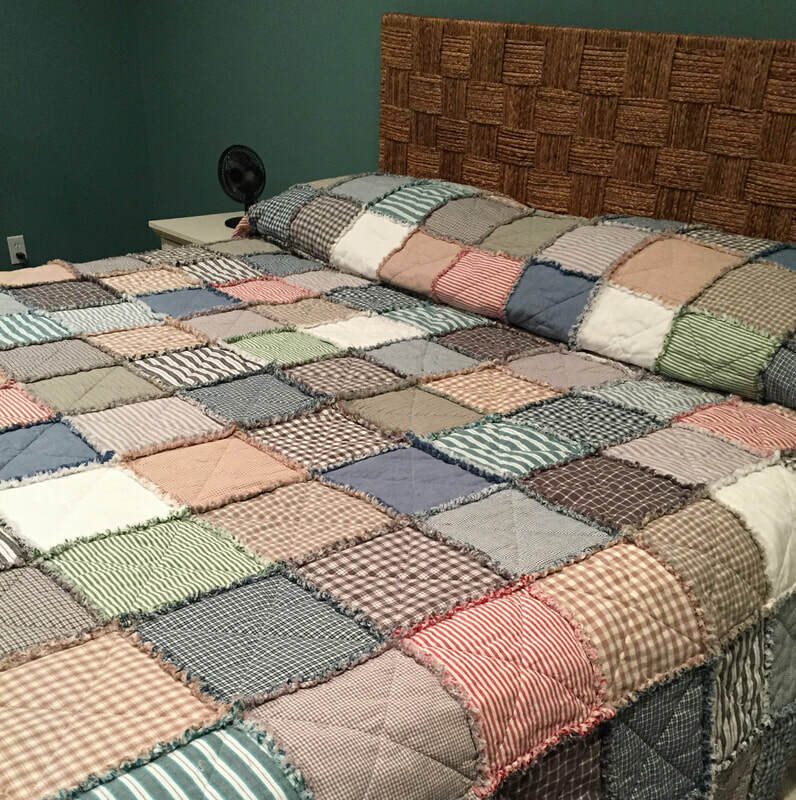 Who wouldn't LOVE a king size rag quilt for their bed? It's a huge project but so worth the efforts. The quilt shown on this page was made from some of the fabrics in our Whitewash Collection and Soft Basics category along with a few others. This Whitewash combination is available in our 5" and 6" charm packs but for a large bed size quilt, we always recommend cutting your own 10" squares. 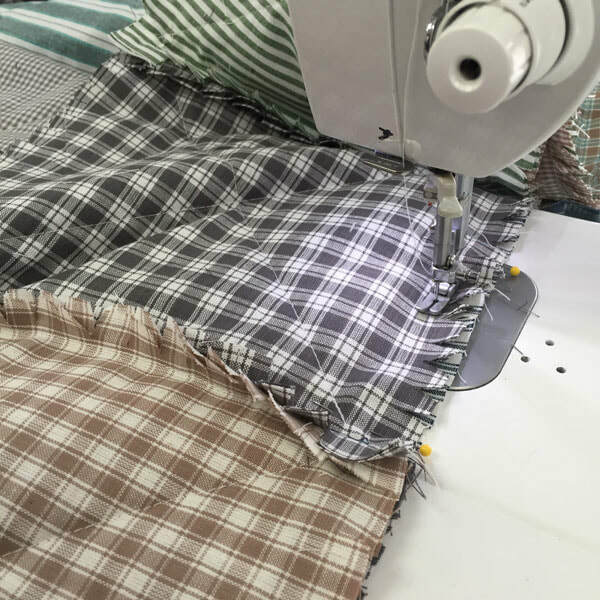 For a king size rag quilt, we suggest doing a layout of 13 x 13 using 10" squares. This will require about 24 yards of assorted homespun fabrics. Only homespun fabric will fray nicely like shown in these pics. 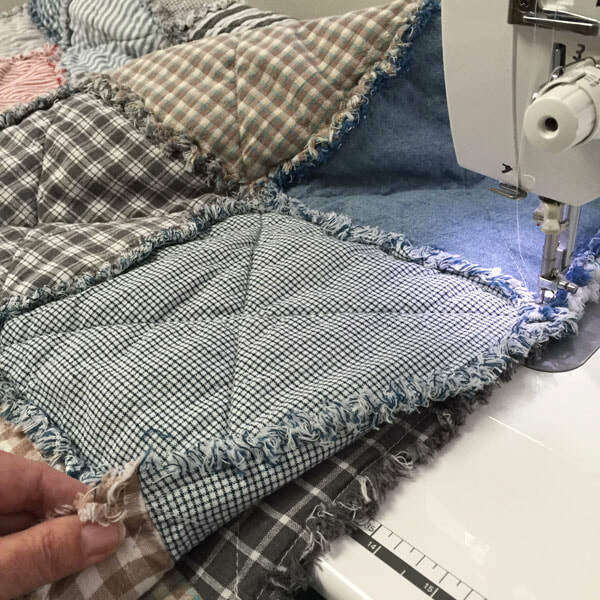 Regular quilting cotton will not fray. You will also need a king size roll of low loft batting. Cut 338 ten inch squares of homespun fabric. This is enough to have one square for the front and one square for the back. Also cut 169 eight inch squares of the batting. Clip the raw edges now or wait until after you have stitched. More details here: Clipping the Raw Edges. Since this quilt was so large, I actually stitched together four segments and washed each one of them as though they were a throw. Then I stitched the four "throws" together after washing and fraying. I found this much easier to handle both at the sewing machine and in the washing machine. I also prefer to clip my edges BEFORE stitching but it can be done afterwards as well. Either way is fine and it's really just personal preference. Stitching the blocks together. Make a "sandwich" with two of the homespun fabric squares and one batting square. ​Each block should have an X stitched through the middle. Start and stop about 1" from the corners and always tack with a back-stitch. Do this to all 169 blocks. Lay out your blocks in whatever format pleases you. This usually takes some trial and error until you are satisfied. Stitch the blocks together to form rows. Then stitch the rows together, matching up all the seams. 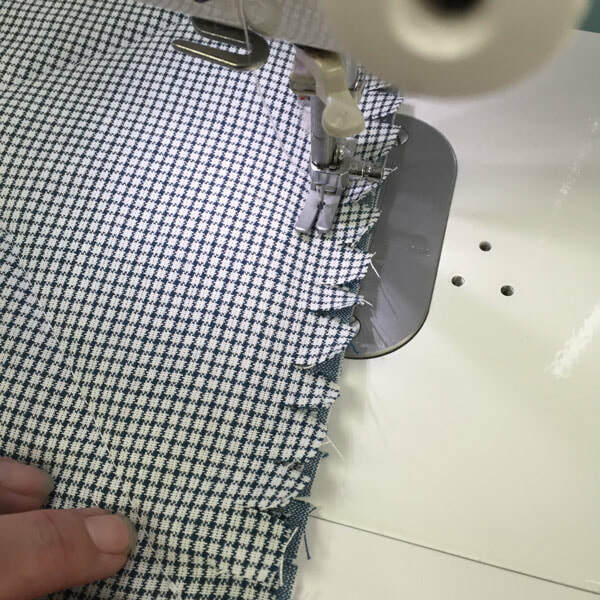 If you clip your seam allowances before stitching like I did, you will want to go over all the seam joints and clip free any place where the seam allowance has been stitched down. See directions below. For this large king size, I stitched the blocks together in four segments. Then washed each one separately and stitched the four together into a complete king size. The finished quilt looks great on my king size bed!